There has always been a strong relationship between food and emotions. 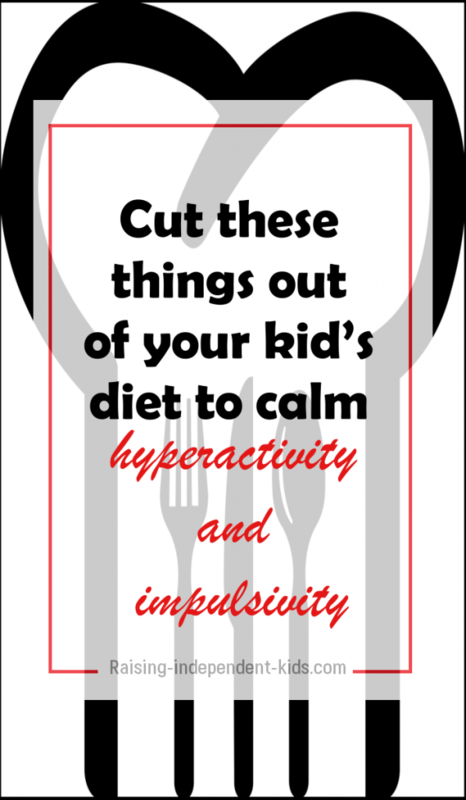 It is not uncommon for some people to eat more or to eat less or not at all when stressed, and this phenomenon affects kids as much as it affects adults. Evidence suggests that five- to seven-year-olds tend to overeat when they’re sad, especially if food has been used as a reward in the past. Growing evidence also suggests that a strong relationship exists between poor emotion regulation skills and eating disorders. Food itself can have an impact on kids’ emotions. Much like emotions may affect how kids eat, what they eat can also affect their moods. 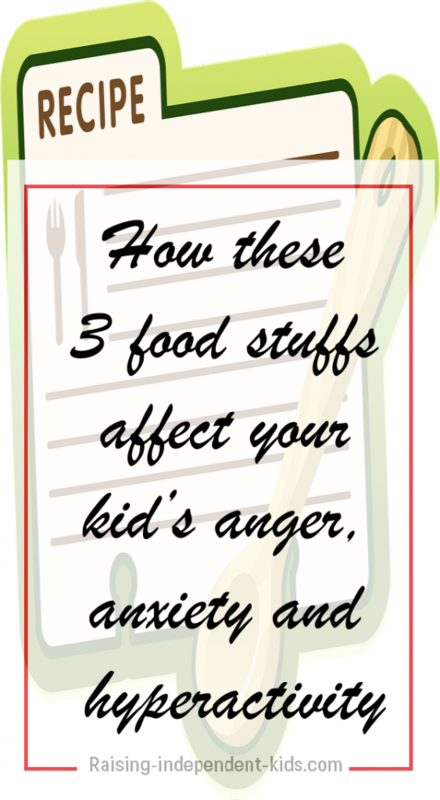 In other words, while some foods can put your kid in a good mood, others can totally ruin his or her day. 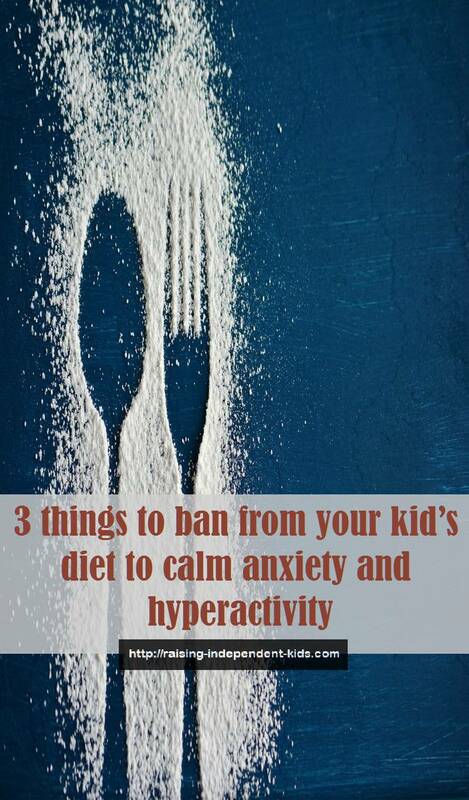 Here are a few culprits to ban from your kid’s diet if you’ve noticed anxiety-related issues. The kids were hyperactive, had mood swings, allergic reactions, anxiety and some even experienced physical manifestations such as headaches. According to the pediatric expert Dr. Greene, mounting evidence suggests that artificial food dyes are linked to many health risks and are not safe for kids. Dr Greene argues that natural food dyes already exist, and there is thus no justification to turn to artificial ones. In a research funded by the Food Standards Agency, 300 kids were each given one drink. The first drink had no additives, the second had a potent mix of additives and the third was approximately similar to the average daily additive intake of kids their age. The kids’ hyperactivity levels were measured before the experiment began and immediately after. The results showed that additives significantly increased hyperactivity and advised parents with hyperactive kids to remove additives from their diets. However, the regulations on artificial food dyes vary across countries. For instance, while all products containing these dyes must carry warning labels informing parents of their potential effect on kids’ behavior and attention spans in Europe, there are as yet no regulations governing the use of artificial food dyes in the United States despite calls to ban these dyes owing to the associated health risks. According to several testimonies, avoiding Yellow 5, Yellow 6, Blue 1, and Red 40 may help decrease kids’ hyperactivity, stress, and violent behavior. There is no consensus about just how much sugar is too much but there have been suggestions that minimizing sugar intake can help reduce anxiety and increase your kid’s concentration. The kids were offered different breakfast meals every day with the same energy levels but different glycaemic loads. The kids’ behavior was then rated in the classroom. The researchers found that when kids ate breakfasts with a lower sugar intake, they performed better on memory tests, had longer attention spans and had fewer behavioral issues. Lactose intolerance is one of the most common allergies in kids and means that due to their inability to fully digest the lactose in milk, kids may react to dairy products in different ways. Allergic reactions ranging from diarrhea to skin issues such as eczema are the most common reactions when kids are allergic to these products. Dairy products have also been linked to behavioral issues. In one longitudinal study that began in 1996/1997 in Norway, 23 four- to eleven-year-old hyperactive kids including kids with ADHD were put either on a milk-free or gluten-free diet. Their behavior was then monitored over time. The researchers found that avoiding milk, and specifically the casein in the milk, reduced kids’ hyperactivity and impulsivity. There was a change in kids’ overall behavior and kids were more attentive and also performed better academically. When milk was reintroduced into their diets, the hyperactivity and impulsivity symptoms returned. 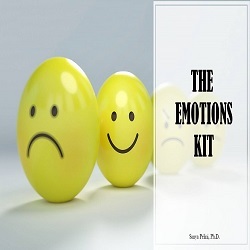 The Emotions Kit is filled with practical and appropriate activities to help kids learn to identify emotions and to deal with strong emotions by themselves.